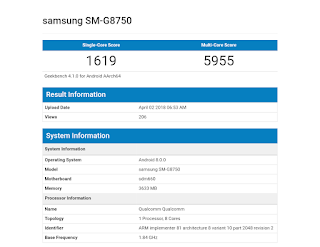 When Sony launched their flagship phone Xperia XZ2,they introduced its mini version as Xperua XZ2 Compact at MWC2018.But talking about Samsung,there was no mini or compact version of Galaxy S9 and S9 plus.Now a smartphone from Samsung,with model no SM-8759 has been popped up in Geekbench.This model no has not reffered to any other phones of Samsung.So it is rumored to be a mini version Samsung S9,and to be named as Samsung S9 Mini. 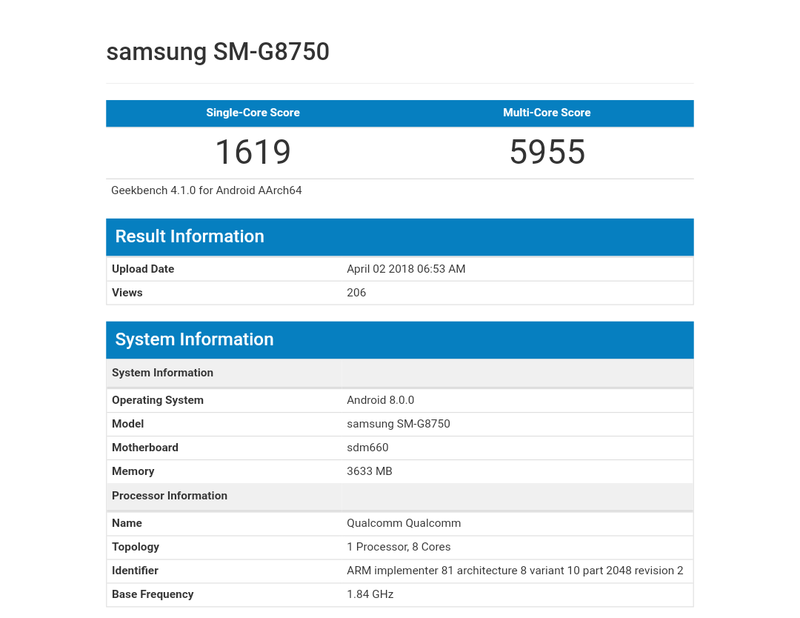 According to Geekbench listing,alleged Samsung S9 Mini runs on 1.8GHz Snapdragon 660 octacore processor with 4 GB RAM and Android 8 Oreo.With these hardware it achieved a score of 1619 and 5955 on single and multi core tests. However,it is expected to come with 5 inch display without bezels on both side.It would feature fullview display as its flagships.Though S9 Mini is expected to have a price tag of $500 it speculated to have decent camera also,like Sony Compact models.